I'm not ashamed to admit that living my dream has cost my family everything. So, when last night my husband and I were trying to figure out where we were going to live after the house is foreclosed on, which is impending swiftly, and we set out a budget, I wasn't overly surprised that we just don't have enough to afford, well, anything. We are living on a nearly nonexistent budget. We have cut corners everywhere. And, we still have maybe $300 left for paying for a home. When I saw this picture, it really embodied my feelings. That's right, at minimum wage, basically half of your pay for the month is spent to even be able to afford rent on a two bedroom apartment. I make $100 a week right now. This is basically nothing. I work 70 hours a week and make a little over a dollar an hour. This is all out of my own choosing, but doesn't mean that I don't struggle constantly with the position I've put my family in. My husband wouldn't want me putting up his salary, but I will tell you that it is less than double minimum wage. So basically, we are raising a family of 4 on nothing. And America wants you to live the dream, but you pull yourself up by your boot straps and you do it on your own. And all I can do is hope and hope that my daycare will continue to be successful so that we can afford somewhere to live when the time comes and we lose our other American dream of owning our own house. So tough. I have struggled and struggled with homes and the cost of living. Us being a one income household is rough. 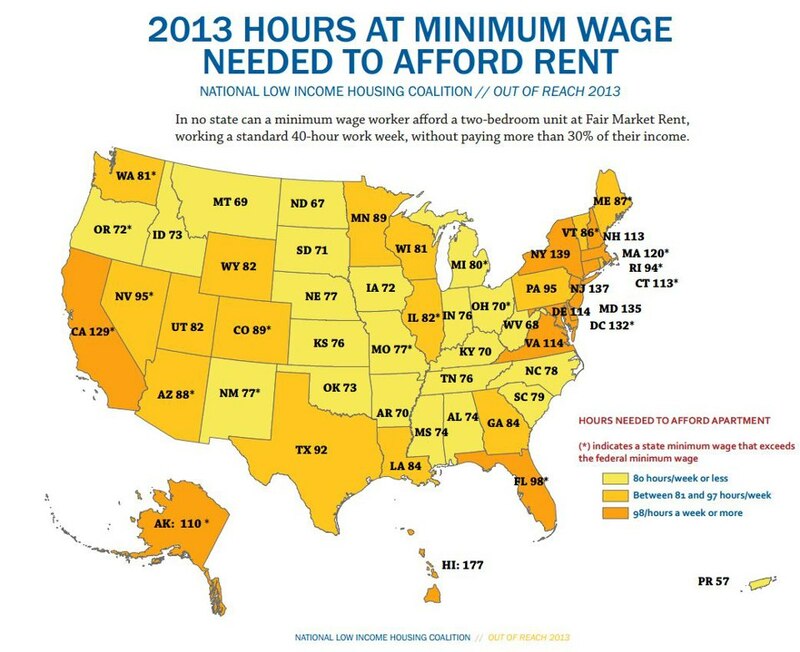 You can forget about home ownership if you are only getting a little less than half of minimum wage. I feel for you buddy. America just keeps pushing and pushing saying you CAN.. and in reality you can't. Are you really going into foreclosure? I after this last try have decided to just be an apartment dweller for life and let all that nonsense be.. could be worse buddy you could have no dreams at all, like myself. ps.. i am loving this blog you wrote full of grit and how things really are. Yeah it is one of the scariest struggles that there is worrying about whether you will have a place to live. It seems like you can choose slavery to a job and home ownership or happiness and homelessness or at least a place that you aren't owning that isn't amazing. We are really going into foreclosure, it's been somewhat freeing to know that we don't have to struggle with the fact that we simply don't make enough to pay for this house. It's reality and a taboo to talk about foreclosure, but I am not ashamed of the fact that we are getting foreclosed upon and it happens so much it's not funny!